They Work For You... Remind Them! 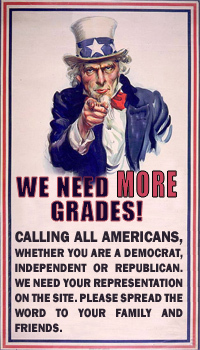 I gave you a grade of F. Every time you get a chance to stand up to Obama you cave in. Grow a pair and do what is right for the country. Be a statesman not a politician. Please note: you can only vote for senators in your state and congresspeople in your district, and only once.